Trying to plan a philanthropic event can be tough. If it’s not entertaining enough to generate interest, you could end up with a poor turnout and a lack of funds to contribute to your organization, or you could even be stuck with less than what you started with. 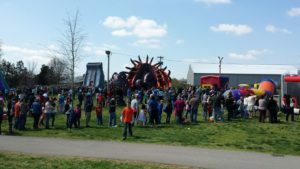 Bounce houses are the perfect solutions for charity fundraisers, as they are a tried and true way to gather both crowds and donations! Here are three good reasons to let Space Walk help you with your next event. While many people enjoy contributing to a nonprofit simply because they consider the cause to be a good one, including an incentive is always a bonus. 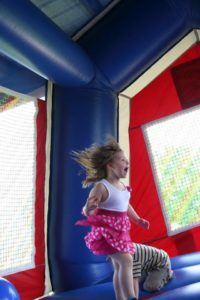 Bounce houses are exciting for children, and parents often pay for their kids to use them at for-profit events. If parents are willing to shell out a few bucks just for fun, then they definitely wouldn’t mind spending a few on a worthy cause! Renting the equipment is simple. Space Walk was founded in 1959 by the inventor of the very first inflatable amusement ride, so we really know our stuff. 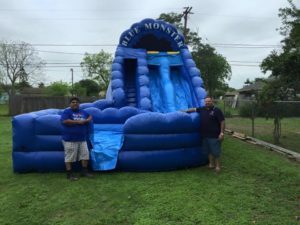 We have a full inventory of bounce houses, slides, castles, and even concession rentals, and all of them are clean and well-maintained by our professional maintenance staff to ensure that they’re safe and reliable. You can rent with peace of mind because we’re insured! We also deliver and set up the equipment on your schedule. Jumping around in an inflatable bouncy castle is a fun way for children to get their exercise, and parents know that encouraging kids to let off some steam during the day could mean a good night’s sleep. It’s a win-win, and the fact that it’s for charity won’t hurt either. The next time you’re looking for a stress-free solution to planning a philanthropic event, consider bouncing for your cause! Contact your local Space Walk for more information on the bounce houses that are offered in your area. Bouncing season is here, so schedule your event today, we’re booking up fast! Previous PostPrevious Three Easy Recipes that Will Impress Guests at Your Next Big Event!